There are four power centres in Pakistan. Sitting atop the other three is the military, which controls one-third of Pakistan’s economy and almost all its terror groups. The other three centres of quasi-power are the government, the judiciary and the mullahs. The media is powerless. Civil society has no voice. The Pakistani army is obsessed with India for one overriding reason: it justifies the army’s indispensability to the country and is good for business. The Pakistani army is run like a private limited company. Indian strategists working on counter-terror operations make the mistake of thinking that Pakistan’s “deep state” is responsible for Islamabad’s malignant behaviour. There is no deep state in Pakistan. The army is the deep state and its tactics are open, even brazen. The Inter-Services Intelligence (ISI) makes no secret of its subversive role. Its public relations division (ISPR) is run by Major General Asif Ghafoor, who deals daily in Goebbelsian propaganda. The Pakistani army’s Fauji Foundation owns businesses across Pakistan. In a written reply to Pakistan’s Senate in 2016, a glimpse of the army’s business holdings was revealed. As Dawn reported: “There were nearly 50 projects and units functioning in the country under the administrative control of Fauji Foundation, Shaheen Foundation, Bahria Foundation, Army Welfare Trust (AWT) and Defence Housing Authorities (DHAs). Projects under the Fauji Foundation include plants manufacturing everything from cement and fertiliser to energy and cereal. The Fauji Foundation itself claims on its website that it runs 18 industries. Quite apart from official holdings, the Pakistani army controls benami land and foreign bank accounts. The country’s defence budget at $10 billion is 3.5 per cent of Pakistan’s GDP —nearly double India’s (1.8 per cent) as a ratio of GDP. Few countries spend more on defence as a percentage of GDP than Pakistan. China’s defence budget is 1.4 per cent of GDP. A significant portion of Pakistan’s defence budget is siphoned off by the army’s top brass. There is little oversight. To keep the defence budget high and the illicit money machine ticking over, the Pakistani army needs an enemy. India fits the bill. The Pakistani army is not interested in Kashmir. It uses the state to prosecute a low-cost, low-intensity proxy conflict with India, deploying its terrorist arms to attack India and keep tensions simmering just below boiling point. A key part of this strategy is to maintain a facade of seeking talks with India. For the Pakistani military, talks and terror go together. Structured dialogue with India gives Islamabad respectability in the eyes of the international community, diluting the impression that it is a pariah state. But the Pakistani army has no intention of allowing talks, when they do take place, to actually succeed in resolving the Kashmir issue. A resolution would end the conflict. 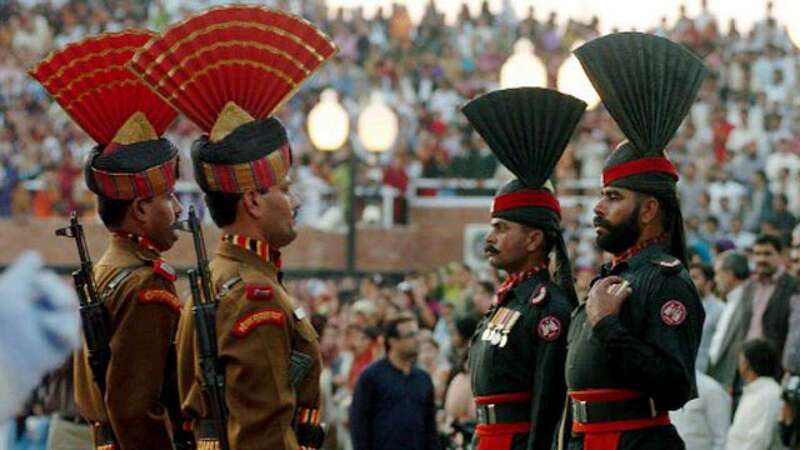 The army’s role in Pakistan would diminish. So would the Fauji Foundation’s fortunes. India’s peace lobby comprises several well-meaning activists. The Pakistani army’s civil society proxies engage in endless track two meetings with them. The purpose: build a bridge to eventually open a dialogue between India and Pakistan at the political level. Meanwhile, the Pakistani army’s terror proxies — Jaish-e-Mohammed, Lashkar-e-Taiba and Hizbul Mujahideen — launch periodic attacks on Indian targets to ensure that the low-intensity conflict continues. The Indian Air Force’s Balakot strike deep inside Pakistan changed the low-cost terror business model that the Pakistani army had perfected over years. Suddenly, the cost had risen. The loss of hundreds of terrorists and several Pakistani army officers in Balakot was just one blow. An equally punishing one could be lying around the corner: blacklisting by the Financial Action Task Force (FATF). The Paris-based body monitors money laundering and terror financing globally. The Pakistani establishment engages copiously in both. If the FATF blacklists Pakistan, it could severely damage that country’s already fragile economy. Indian foreign policymakers have been ambivalent over Pakistan. Diplomatic relations remain unchanged. A private member’s bill to declare Pakistan a state sponsor of terrorism has been shelved. Cross-border trade continues as before, notwithstanding the withdrawal of Most Favoured Nation (MFN) status. Even the ludicrous retreat ceremony at the Wagah border post between BSF jawans and Pakistani Rangers goes on unabated daily. Pakistan craves equivalence with India. Indian policymakers give it far too many opportunities to claim false equivalence. Meanwhile, the Pakistani army keeps a beady eye on India, obsessing over every Pakistani rupee it can extract from the longest geopolitical fraud it has pulled off for decades through its proxy war of terror against India. The new Indian government, whichever alliance forms it, must end the charade that enriches the Pakistani army at the cost of Indian lives.